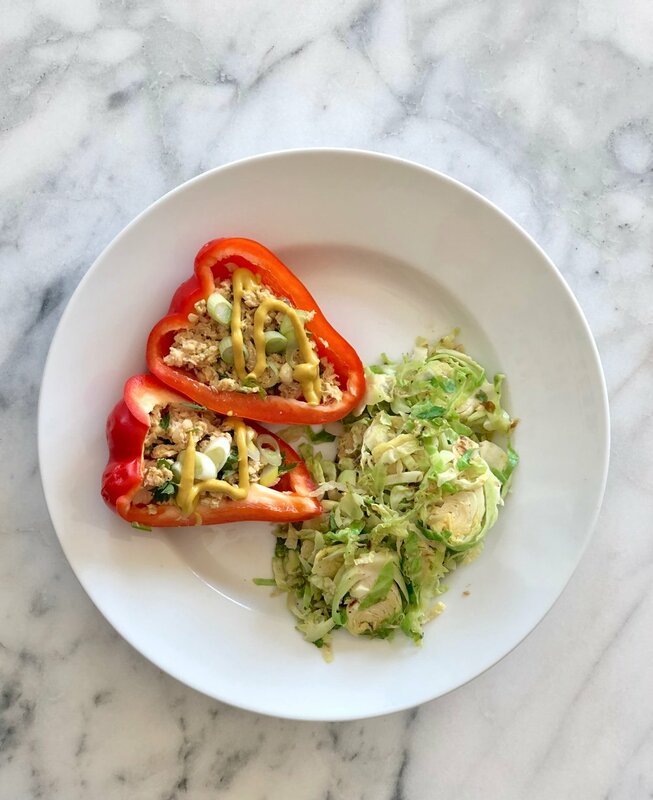 Salmon Stuffed Peppers & Brussel Sprouts Salad for a 10 min healthy lunch! When I feel like eating protein, wild caught flaked salmon, all ready to go just tear open the bag is one of my go-tos. It's a healthy fat, a good choice for wild caught seafood (mercury isn't an issue) and you can do SO MANY things with it! Super easy and fast. No excuses to not eat your veggies at lunch! Is your bloating costing you your date nights?